Microsoft’s 2017 third quarter financials have revealed a 26 per cent year-on-year hit in revenues from sales of its Surface products during the three month period. The fall in Surface revenue contributed to an overall decline in revenue for the tech giant’s More Personal Computing division, which encompasses Windows, Bing search revenue and all of Microsoft’s own hardware products, including tablets and smartphones. It is unclear whether the fall in Surface revenue for the quarter is linked to anticipation within the market of Microsoft’s Surface Studio all-in-one PC, which was launched in some markets outside the United States, including Australia, in April. For the quarter, revenue in Microsoft’s More Personal Computing business fell by seven per cent compared to the same period the previous year, to US$8.8 billion, driven primarily by lower phone revenue. However, the company’s search advertising revenue, excluding traffic acquisition costs, increased by eight per cent year-on-year during the period. Meanwhile, Windows original equipment manufacturer (OEM) revenue increased by five per cent in the quarter, compared to last year, while Windows commercial products and cloud services revenue increased six per cent. At the same time, Microsoft’s Enterprise Services revenue decreased by one per cent, with declines in custom support agreements offset by growth in Premier Support Services and consulting. While the company’s More Personal Computing Division took a revenue hit during the quarter, its cloud revenues continue to grow, with the company’s Office commercial products and cloud services revenue increasing by seven per cent, and Office consumer products and cloud services revenue increasing by 15 per cent. Unsurprisingly, much of this growth was driven by growth in Office 365 revenue. At the same time, Dynamics products and cloud services revenue increased 10 per cent, driven heavily by Dynamics 365, which grew in revenue by 81 per cent. “Our results this quarter reflect the trust customers are placing in the Microsoft Cloud,” said Microsoft CEO, Satya Nadella. 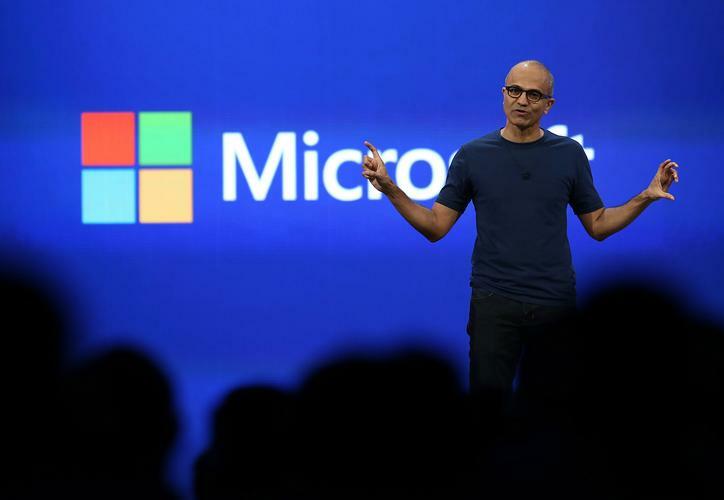 According to Microsoft executive vice president and chief financial officer, Amy Hood, strong execution and demand for Microsoft’s cloud-based services drove its commercial cloud annualised revenue run rate to more than US$15.2 billion. The company’s revenue in Intelligent Cloud was US$6.8 billion, an increase of 11 per cent, while server products and cloud services revenue increased 15 per cent, driven by Azure revenue growth of 93 per cent. For Technology Business Research analyst, Kelsey Mason, the latest quarterly results highlight the effectiveness of Microsoft’s approach to transitioning customers to the cloud. “The crux of Microsoft’s success has been its ability to first transition customers to cloud-based offerings, then upsell additional or premium services to increase lifetime customer value,” Mason said. Office 365 and Azure are the first examples of this strategy. “Office 365 commercial revenue surpassed Office commercial on-premises revenue in CY1Q17, according to TBR estimates, as customers adopted premium versions and as Microsoft expanded its addressable market to deskless workers,” she said. Further, according to Mason, customers continue to ‘lift, shift and modernise’ server software workloads, with revenue from Azure premium services growing by triple digits for the 11th consecutive quarter, driven by use cases around hybrid, IoT and artificial intelligence. Dynamics is set to follow the same path, according to Mason. “Microsoft has similar plans for its Dynamics business, where it is in the initial phases of encouraging customer migrations to Dynamics 365,” Mason said. “New integrations with LinkedIn and continued horizontal expansion create opportunities to grow share of wallet and increase lifetime customer value. “These three businesses, combined with ongoing commercial adoption of Windows 10 and premium versions of on-premises server software, position Microsoft favorably to enable customers’ digital transformations, both for lines of business and IT departments,” she said. Overall, Microsoft reported revenues of US$22.1 billion for the quarter, with net income reaching US$4.8 billion.